David Cameron has announced that the Conservatives will be sending out 3 million copies of their “Contract with the voters” as part of their final push for Downing Street. Claiming to give sixteen cast-iron guarantees to the voters, the document itself threatens to be as meaningless as Labour’s 1997 pledge card, or Cameron’s long-forgotten promise to introduce fixed-term parliaments. Whether or not you believe this document will be worth the paper it’s written on, it is perhaps its distribution which best reveals the cynicism behind the Tory campaign. Cameron’s Contract will only be sent to targeted voters in key Tory/Labour marginals. This highlights one of the major flaws of Britain’s archaic voting system. To win enough seats in parliament, political parties don’t need to conduct a conversation with all parts of the country, just the few areas where seats might change hands. The rest of us will not be charmed and schmoozed by Lord Ashcroft’s marginal speed-dating operation as, presumably, the Tories don’t think we can make a difference to the outcome of the election. To be fair, it’s not just the Tories who employ this method of campaigning. Labour have aggressively targeted the seats they have needed to win over the years, claiming landslide victories in the process. UKIP are concentrating most of their efforts on Nigel Farage’s unlikely attempt to unseat John Bercow, the Speaker of the House of Commons. Even the Lib Dems, champions of electoral reform, have been forced down the ‘target seat’ route in order to build a stronger voice in parliament. The key word there is ‘forced’. The British electoral system causes the vast majority of voters to be completely ignored while the select few are bombarded with leaflets, posterboards and telephone canvassers. The parties have to do this, or they lose. In the 1983 General Election the Labour Party vote share slumped to 27.6% but they won 209 seats in the House of Commons. By contrast the Liberal/SDP Alliance were not far behind with 25.4% of the vote, yet they won only 23 seats. Ever since then the third party have targeted their efforts more effectively and won more seats as a result. But is this really democracy? Shouldn’t the Tories be sending this contract to everyone (after all, it’s not as if the cost is an issue for them)? Shouldn’t all politicians be conducting a conversation with the electorate as a whole? If you want to vote Labour in Cornwall (or Tory in Glasgow) shouldn’t you be allowed to without fear of wasting your vote? Isn’t it time we ended the anti-democratic institution of the safe seat? 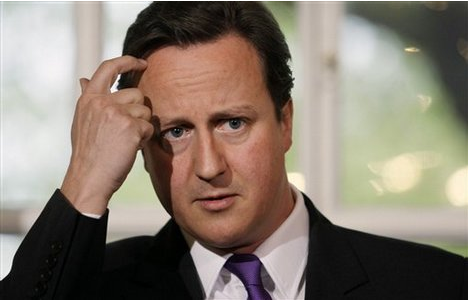 You can guarantee that one item in particular will be missing from Cameron’s Contract: electoral reform. The discredited First Past The Post system creates artificial debates, distorts the results and makes people vote against the parties they dislike instead of for the parties they support. But, given the choice, the Tories won’t change this undemocratic system for the simple reason that it suits them too well. It’s eighteen years since the Tories last polled more than 40% of the vote, and there’s no sign of that changing on Thursday. The Conservative fear is that if the voting system is reformed they will never have power again. This shows their deeply held lack of willingness to change, despite all the noises made by David Cameron. Proportional Representation wouldn’t exclude the Tories from government, but it would make them seek common ground with other politicians, other parties and – crucially – the electorate, regardless of where they live. If the Tories can’t even consider this first, most basic step towards real change, is their contract worth the paper it’s written on? Why are the Tories so unbelievably rubbish? The opinion polls still maintain the ability to shock. The latest survey from YouGov puts the Lib Dems on 34%, the Conservatives in second on 31% and Labour trailing in third on an astonishing 26%. Whether or not you believe the picture the opinion polls are painting, one thing is clear: the Tories are somehow managing to blow the best opportunity they’ve had in eighteen years. Given the obvious unpopularity of Gordon Brown’s government and the clear public appetite for ‘change’ – not to mention the considerable means at David Cameron’s disposal – how on earth have the Tories failed so spectacularly to make a meaningful impression on the 2010 General Election? Let’s have a look at what the Tories have in their favour. In David Cameron they have (on the face of it) a young, energetic leader who has tried hard to ‘detoxify’ the Tory brand and bury the “Nasty Party” label once and for all. They’re up against an ailing, exhausted government led by an uncharismatic PM who also happens to lead an unpopular, financially-strapped party. Gordon Brown has, rightly or wrongly, become a symbol for Britain’s share of the international economic crisis and presides over a period of record, unimaginable government debt. The Tories have the unrivalled support of the bulk of the British press and they have a huge, historic political operation backed by the vast sums relentlessly pumped in by Lord Ashcroft and numerous other super-wealthy donors. Most of all they have a country howling out for change with a voting system which makes their job so much easier than that of Nick Clegg and the Lib Dems. Yet with all of those advantages David Cameron’s Tories are polling at the same level as Michael Howard, Iain Duncan Smith and William Hague. The real random element to this election has been the expenses scandal. It’s quite possible that even the Daily Telegraph don’t realise the profound effect their exposé on the subject may well have had on the political history of Britain. Voters, while always dubious of their political establishment, finally had something to pin their suspicions on when the stories of duck islands and moat dredging hit the front pages. While Cameron put up a brave effort in promising the reform of politics, it was clear that most of the worst excesses had come from the Tory Party. Try as he might, any attempt by Cameron to distance himself and his party from the ‘Establishment’ was never really going to ring true. I suppose it must have been around that time that the Shadow Cabinet’s Old Etonian image (not helped by all those old Bullingdon Club photos) started to become something of a liability. What had perhaps started off as a novelty – a flashback to a safer era when we all just did as we were told – began to grate a little and carried with it an unfortunate air of entitlement. George Osborne, not only a surprisingly voter-repellent choice as would-be Chancellor, continually seems to embody this trait (despite the fact he ‘only’ went to St Paul’s). 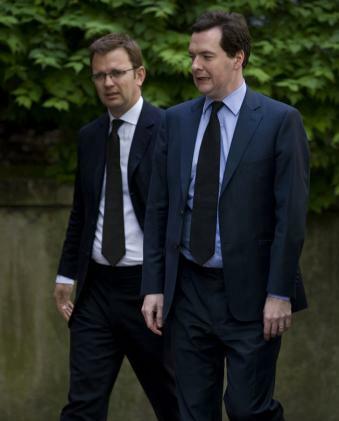 Osborne, of course, has also hampered the Tory effort by making a number of questionable calls on the economic crisis (bank bailout, marriage tax, spending cuts). This in turn must raise some questions about Cameron’s judgement in appointing him the man in charge of the Tories campaign effort – more a favour to an old friend than an example of deep thought in the mind of our next Prime Minister? Cameron himself has probably not benefitted from such a long time in the Opposition Leader’s hotseat. Whereas once he may have seemed a breath of fresh air (“he was the future once”) as the months and years have worn on he’s started to seem angrier, more shrill, more entitled. 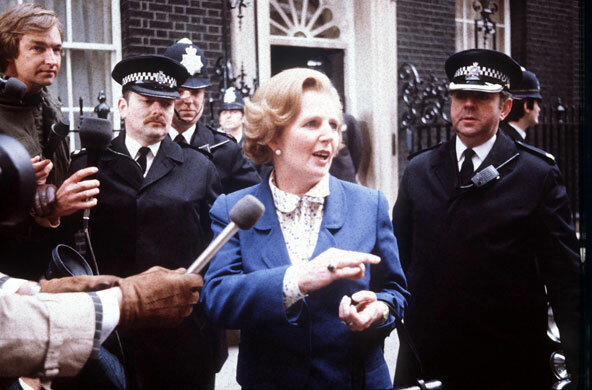 Perhaps that last failing is his biggest – the British electorate have never taken too kindly to arrogance and triumphalism (remember Kinnock at Sheffield?) and Cameron’s weekly ‘Punch and Judy’ turn at Prime Minister’s Questions is hardly a great advert for Tory humility. Of course there’s still a long way to go in the 2010 General Election. There’s more than a slight chance that the Tories will start to make use of one or two of the tools at their disposal and end up scraping over the line. But a lead opposition party, with all the advantages that the Tories have had, should have had this one sewn up months ago. Cameron is known to be a keen admirer of the original New Labour project, but the main difference between now and 1997 is that Tony Blair was miles into the distance by this point in the campaign. Blair’s success led to his victory over the old guard who had doubted him within his own party. Cameron’s failure may leave him at the mercy of his party’s much more seasoned equivalent. The Tories are currently, without the slightest hint of irony or self-awareness, doing their best to give the Labour Party a good hard shoeing over their links with the trade union Unite. This has, of course, come to the public eye as a direct result of the BA Cabin Crew strike, a story which gives the Conservatives an increasingly rare opportunity for a two-pronged attack on the government. Firstly the Tories have the chance to highlight British Airways as a success story from the ‘golden’ era of mass privatisation (of course they gloss over the disasters of rail privatisation or the selling off of public monopolies which left my part of the world with the highest water bills in the country). BA was, for the last government, a shining airborne phallic symbol for the ‘success’ of Thatcherism, deregulation and the markets. The second part of the Tory attack is to use this industrial dispute to try to paint a picture every bit as bleak as the infamous “Winter of Discontent” of 1978/9. This is self-evidently ridiculous. The stories from 1979 (I can just about remember it) were of piles of uncollected rubbish and the dead lying unburied in morgues. In 2010 a few holiday-makers will be greatly inconvenienced – annoying if you’re one of them, but hardly the end of the world as we know it. But perhaps what is most surprising is the Tory attempt to turn this issue into a point-scoring exercise on party funding. Their faces redden as they talk of Unite “owning” the Labour Party, and distorting the electoral process by piling all that money into the marginal constituencies. Perhaps the theory is that if they go in hard enough on the trade unions the wider world will forget all about Michael Ashcroft and his ten year bank-rolling of the Tory marginal constituency operation. It’s nearly as laughable as the Tory claim to be the party of the NHS. I’m not a Labour member or supporter but I can clearly see the difference between an organisation which passes on political donations on behalf of its membership, and a single, off-shore, tax-avoiding donor. Sure, there are flaws with the unions’ political levy, but that process is considerably more transparent than Michael Ashcroft’s tax affairs have been for the last decade. British Airways used to fly under the slogan “The World’s Favourite Airline”. Michael Ashcroft has, for some time, been the Tories’ favourite airline. The Shadow Cabinet have flown to Israel, Mali, China, Cuba and the Czech Republic – all on Ashcroft’s Falcon 900 private jet. 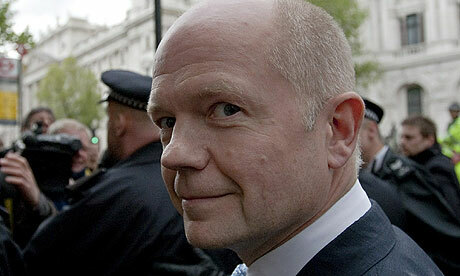 The most frequent flier has been William Hague, a man whose judgement now appears under serious scrutiny. 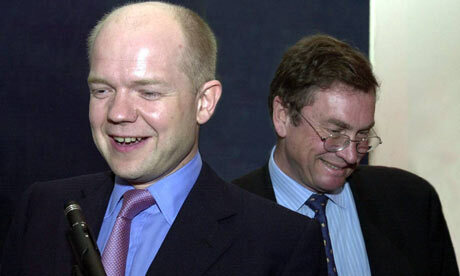 A close friend of Ashcroft’s since 1998, Hague has never given a straight answer on the Tory paymaster’s tax position. Now that the dirty truth is finally out in the open questions are being asked of Hague’s honesty, not just with the public, but also with the leadership of his party. When did Hague know that Ashcroft was still a non-dom? 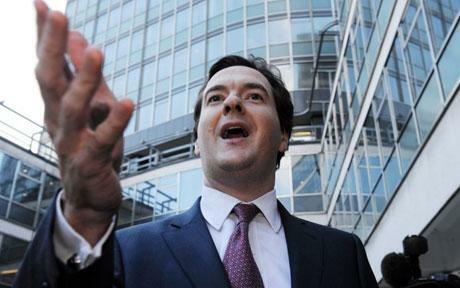 Did he tell David Cameron? If so, why has Cameron spent his leadership dodging straightforward questions on Ashcroft? Whatever the rights and wrongs of the BA strike, the most extraordinary thing for me has been the stratospheric level of Tory hypocrisy over the issue of funding. Never mind stone-throwing, Tory preaching on this particular topic is about as sensible as firing up one’s private jet in a glass house. This Newsnight clip is taken from Political Scrapbook’s brilliant dissection of Michael Gove’s 2000 Times Leader on Michael Ashcroft. You can read the full post here.